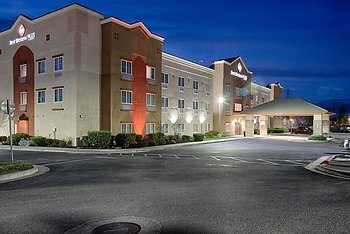 Hotel Best Western Plus Delta Inn & Suites, Oakley, United States of America - Lowest Rate Guaranteed! Located in Oakley, Best Western Plus Delta Inn & Suites is in the suburbs, within a 15-minute drive of Brannan Island State Recreation Area and Lone Tree Golf Course. This hotel is 5.6 mi (9 km) from Antioch WaterPark and 9.5 mi (15.3 km) from Los Medanos College. We liked the sitting TV room and the large size of the room, wet bar and comfort of the beds. We will definitely return to this hotel when in Oakley! Thank you! The person that I checked out with was awesome. Pool had issues. Had to wait for chemicals to adjust, this should have been done earlier in the day. Also I totally I found 4 pieces of broken glass in our room. Space of the Suite and the Large Bathroom. The presentation of the food was not appealing so we ate breakfast elsewhere.. The staff were friendly and helpful. The hotel was clean and quiet. The hotel was located very close to everywhere we needed and wantd to be. At times it was hard to find parking when returning in the evening as there were contractors staying there and their trucks took many spaces. Have not got my copy of my bill!!! Just the location. Hard to find.